Andrea’s GT School, Top Marks to SA Trio! 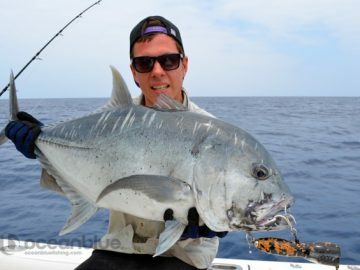 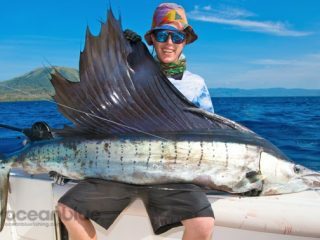 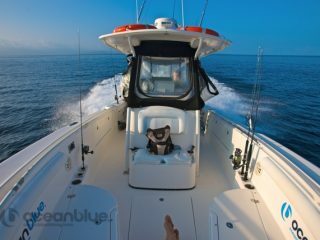 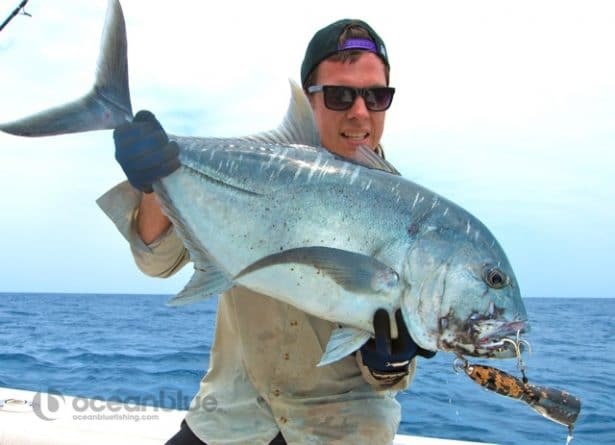 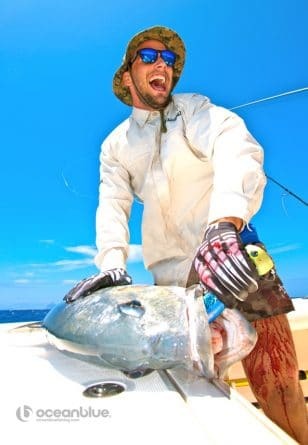 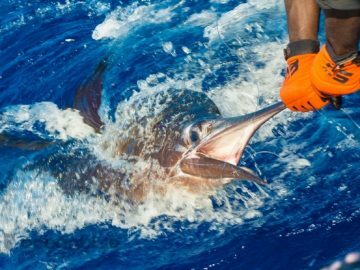 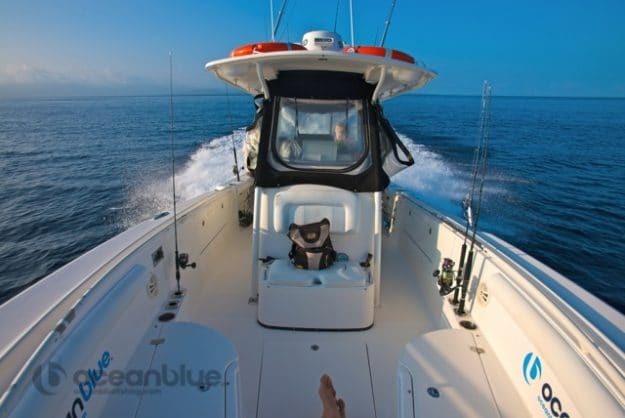 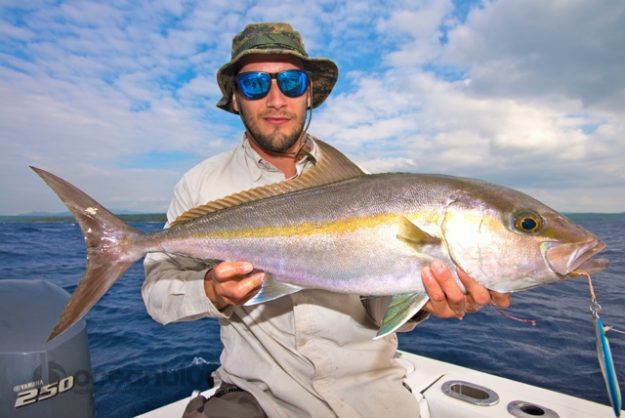 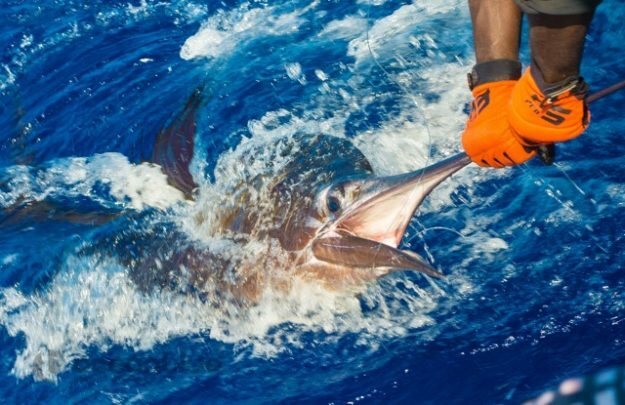 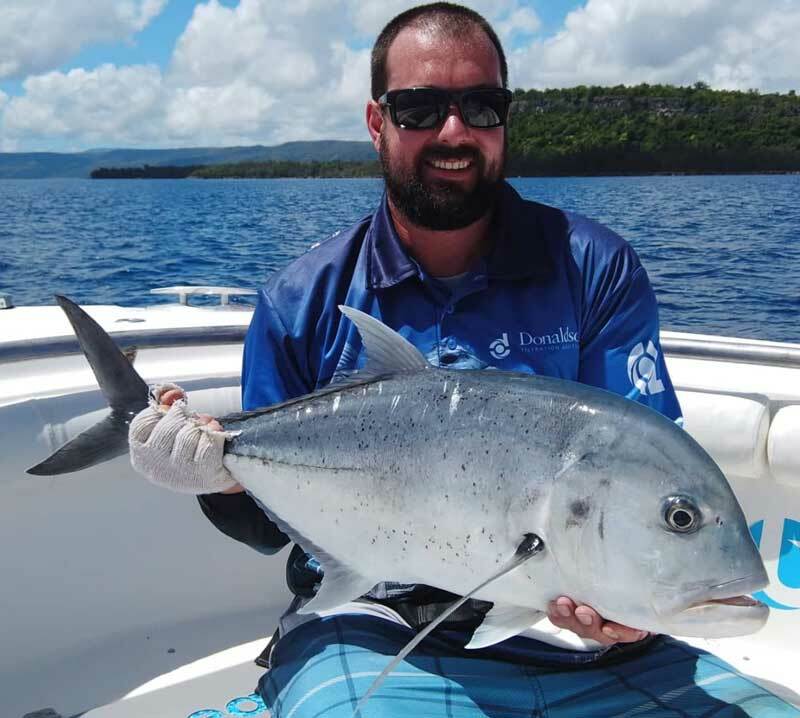 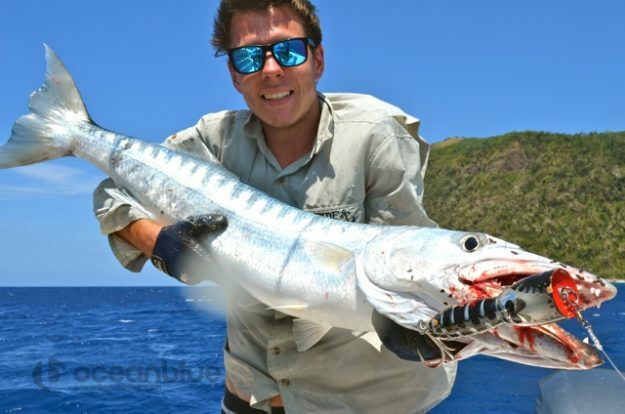 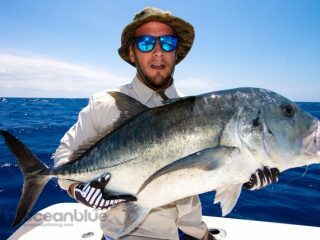 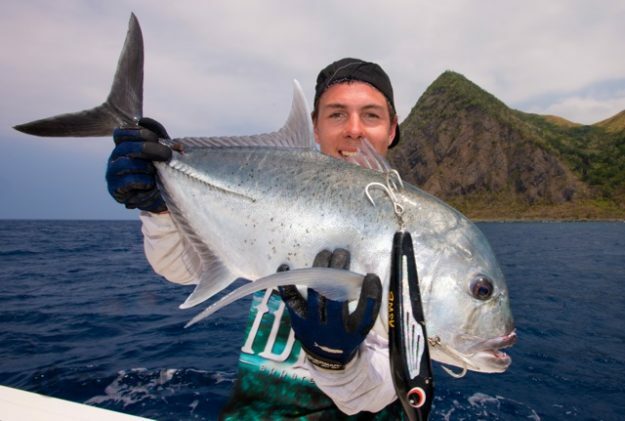 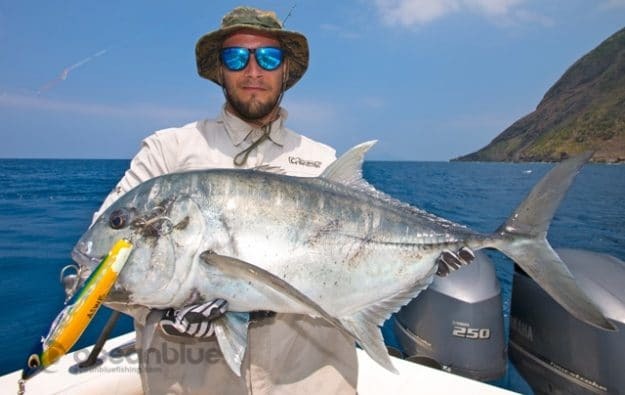 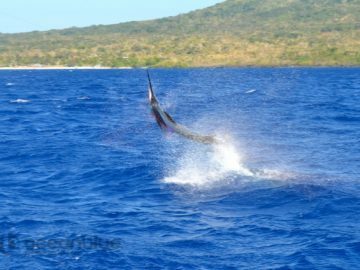 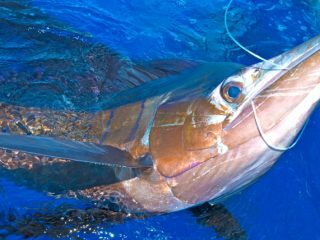 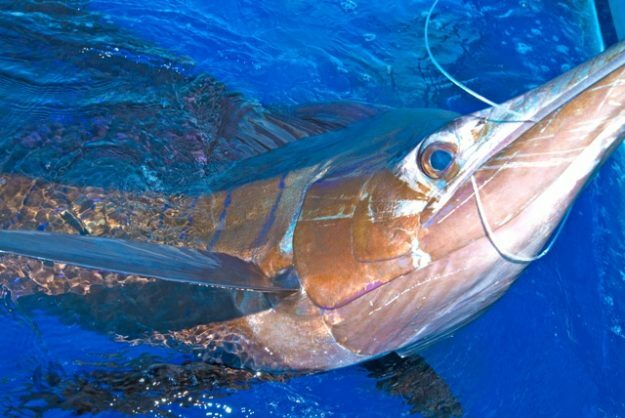 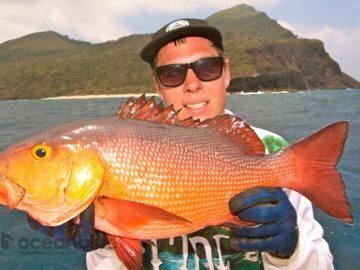 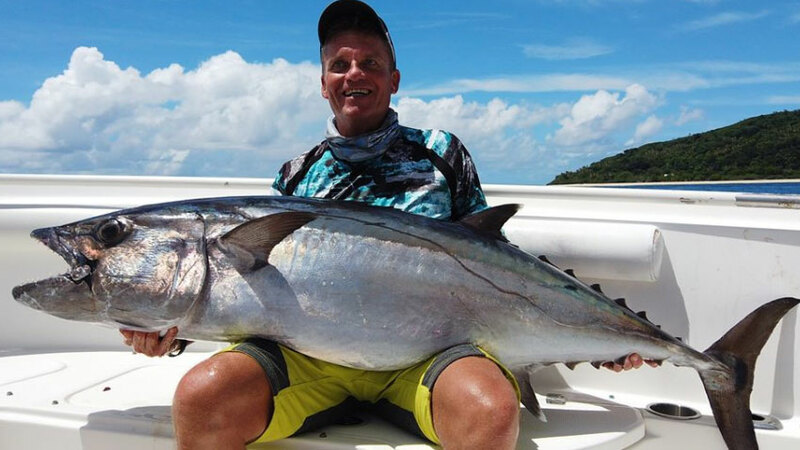 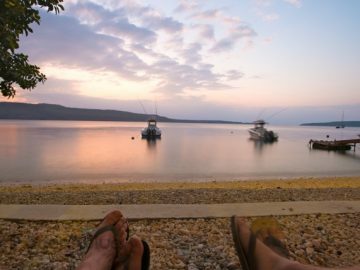 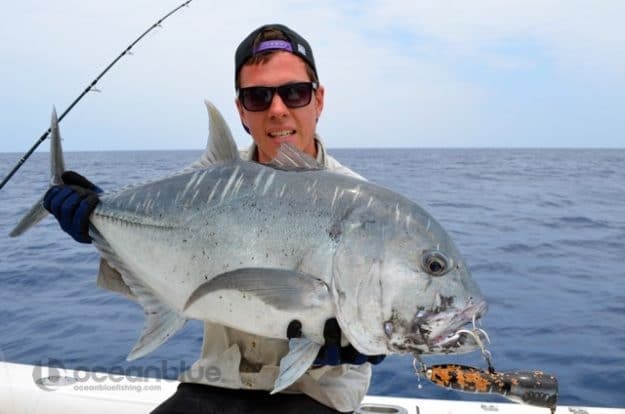 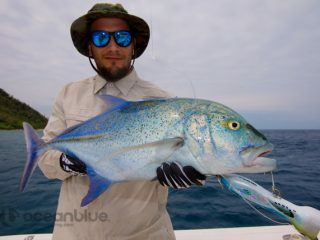 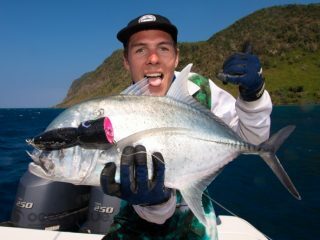 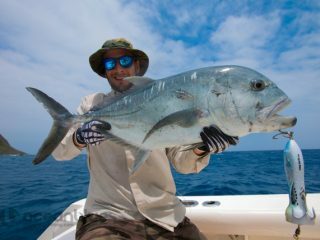 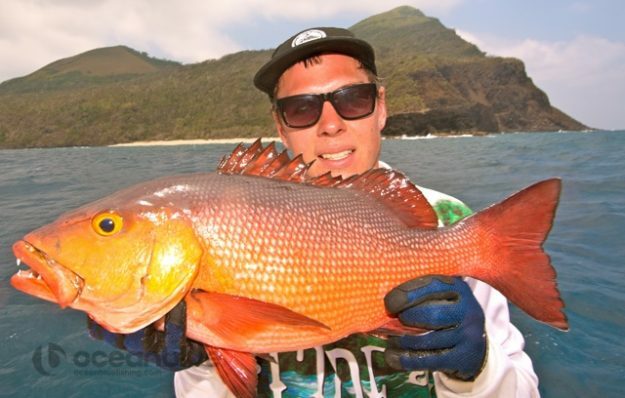 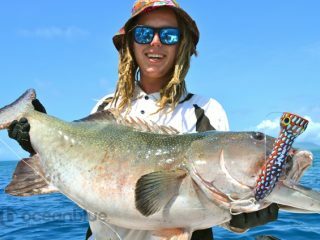 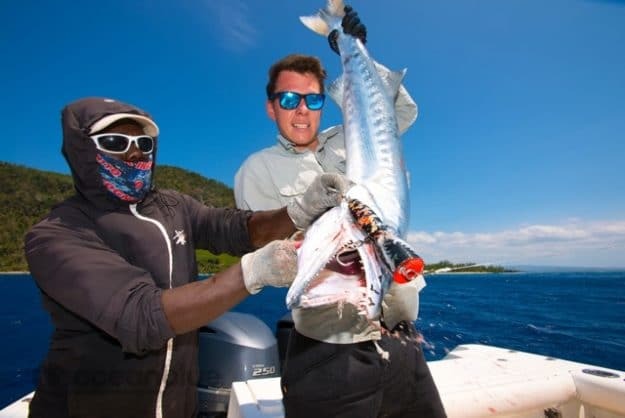 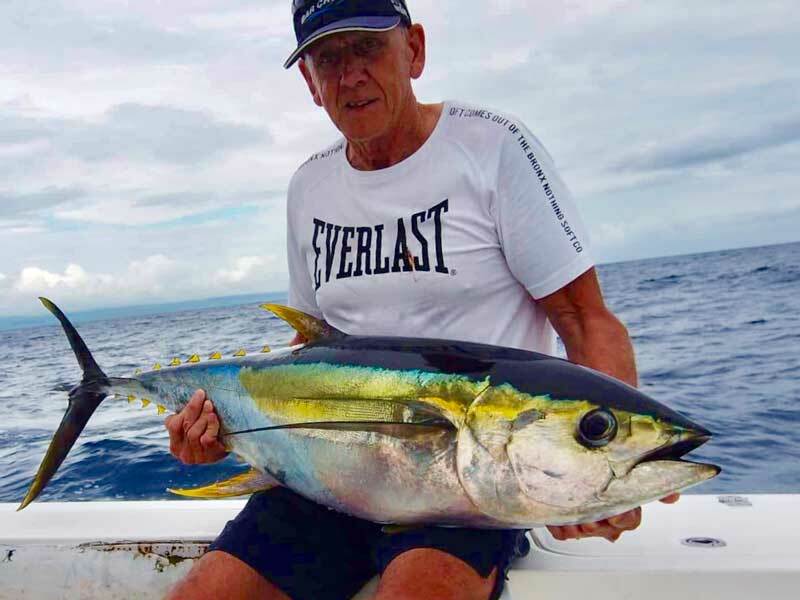 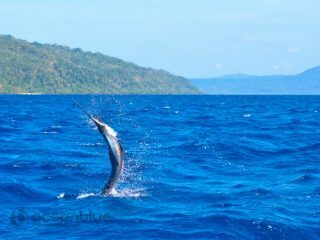 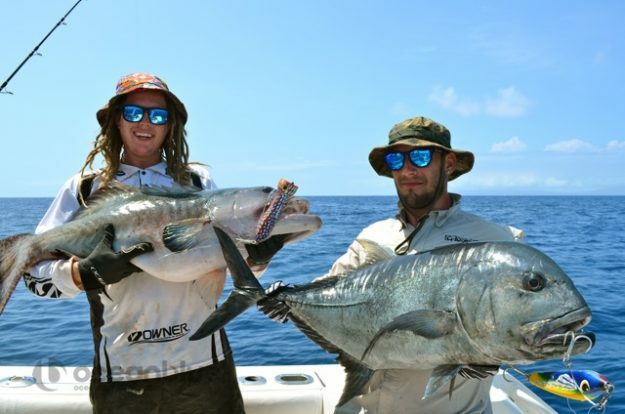 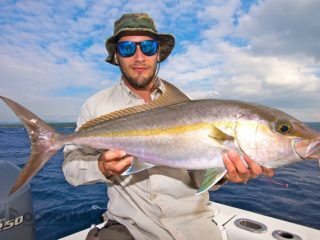 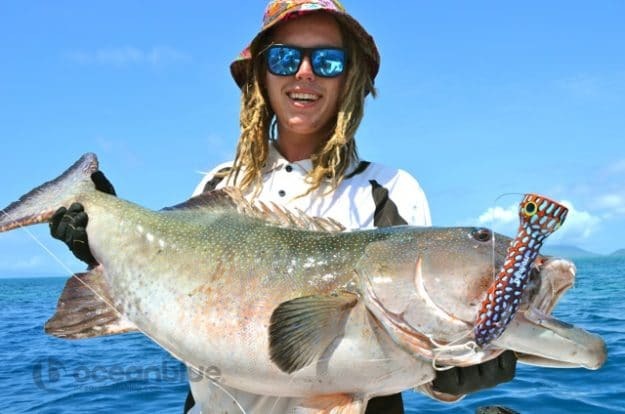 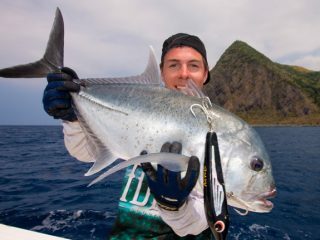 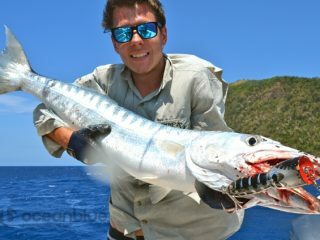 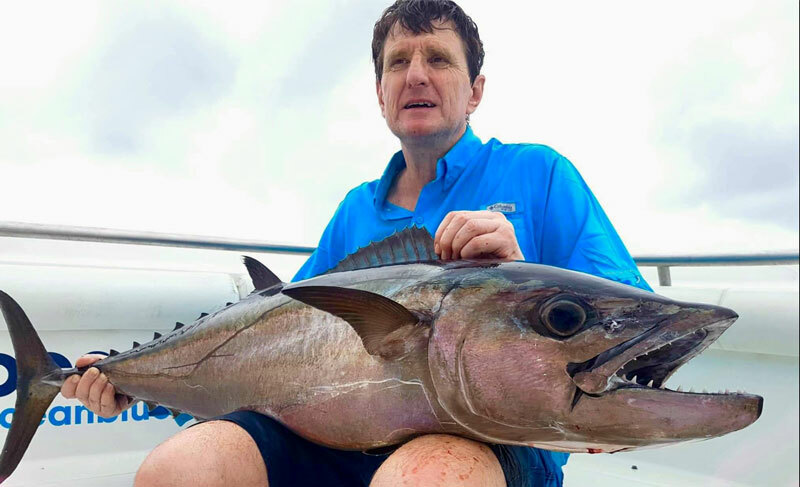 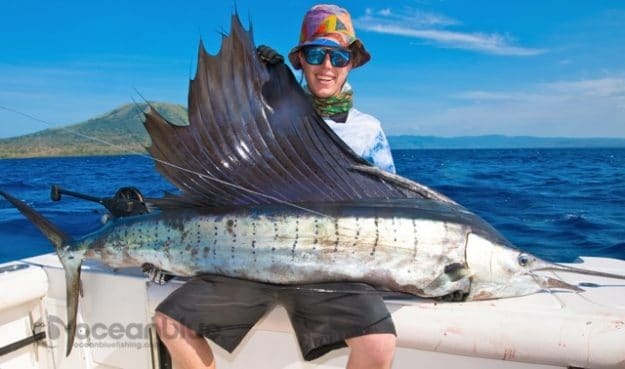 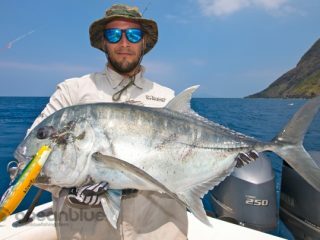 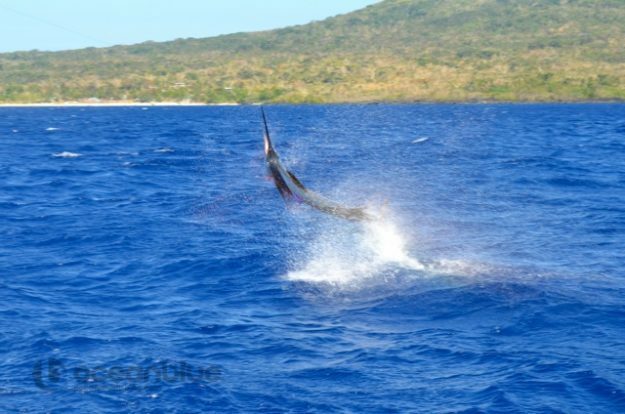 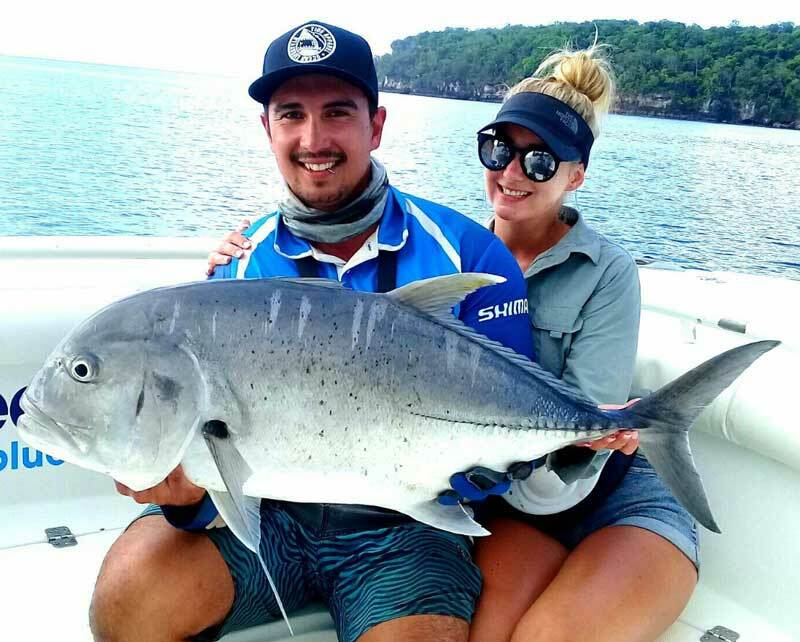 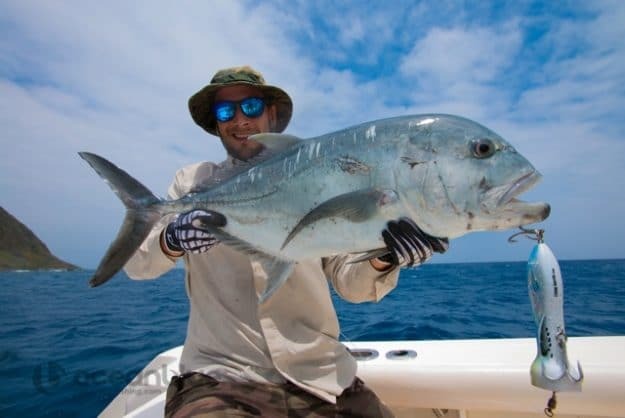 This GT and Dogtooth Sportfishing adventure for 3 best mates, Daniel Risley, Greg Goess and Atha Tolios. 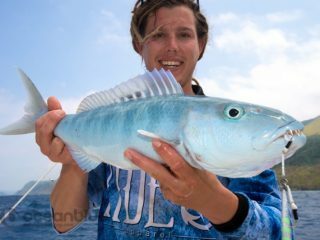 Our 3 enthusiastic anglers were introduced to Andrea Traverso’s world of popping very quickly. 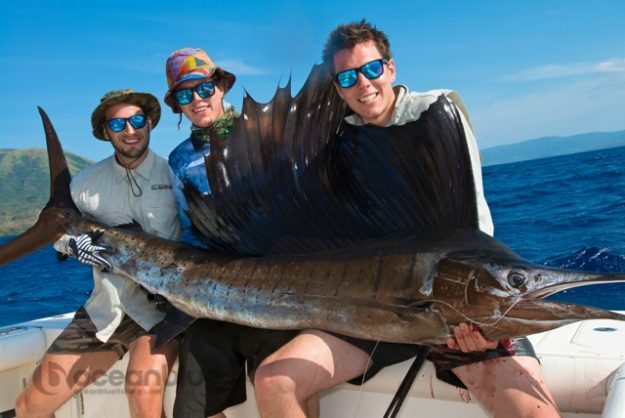 With a ‘no mercy and never give up attitude’ it was game-on for Daniel, Greg and Atha. 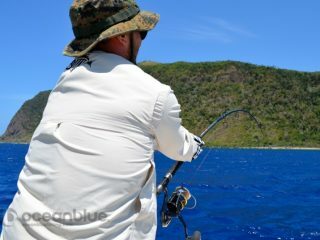 Fishing 3 anglers on the boat meant that the guys maximised casting from the bow and the back platform each session..
There’s plenty of big tough fish that live in Vanuatu’s clear blue water so stay tuned for the trio’s “beast” encounter with heavy metal jigging in our next trip report. 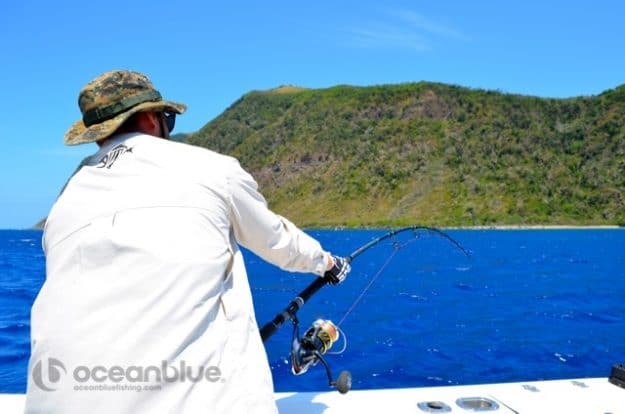 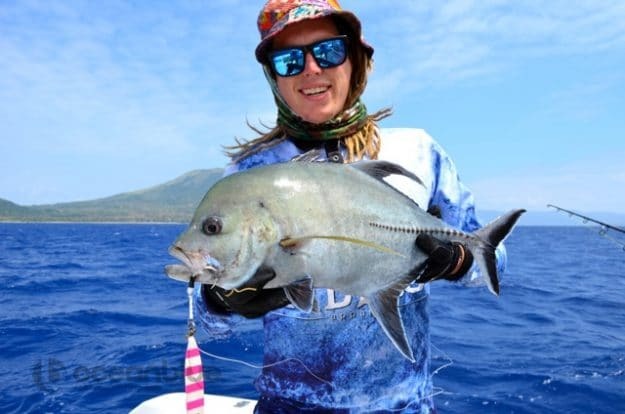 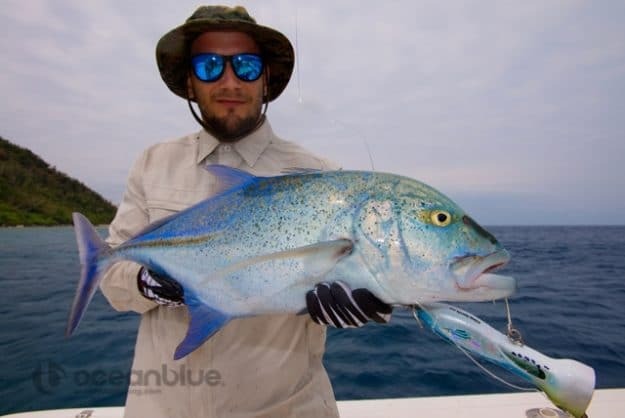 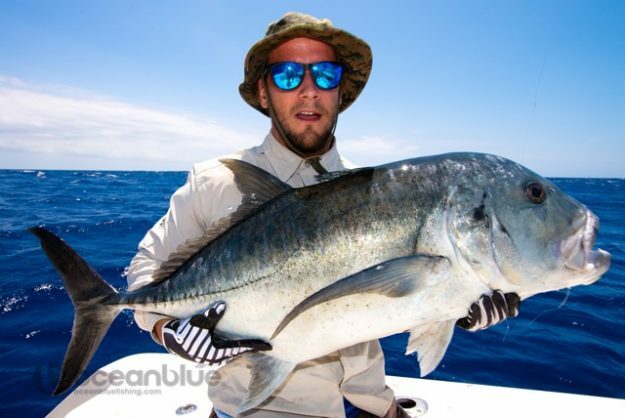 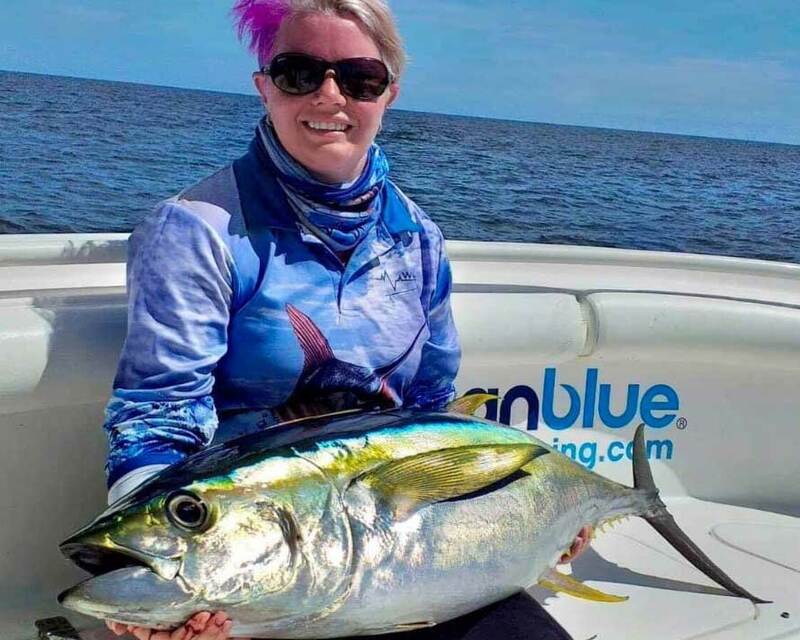 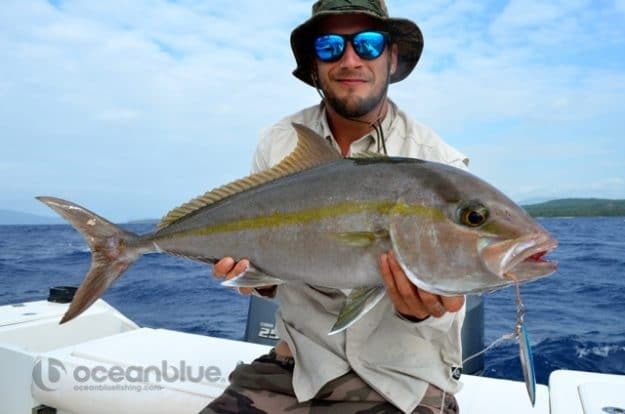 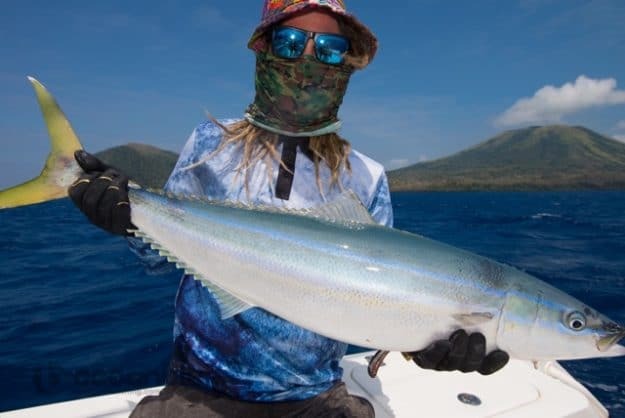 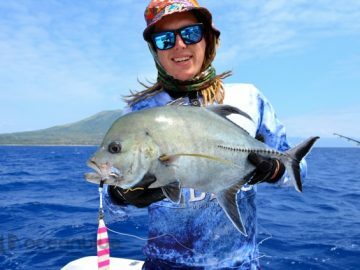 Despite Andrea putting them on to plenty of opportunities on day 1, casting poppers and stickbaits over the many shallow coral reefs, islands, drop-offs and passages, the trio struggled to convert all the strikes & hookups into fish on the deck, with only 1 GT out of 8 landed. 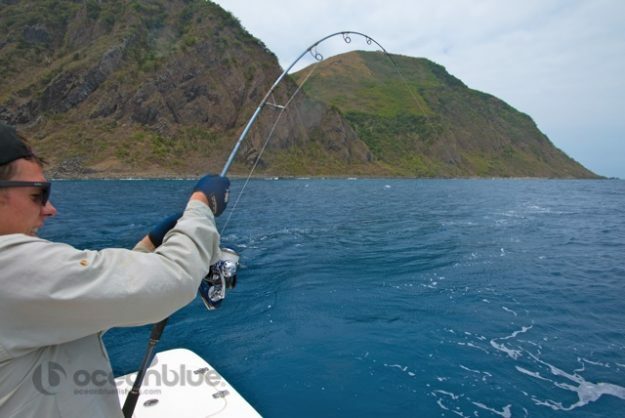 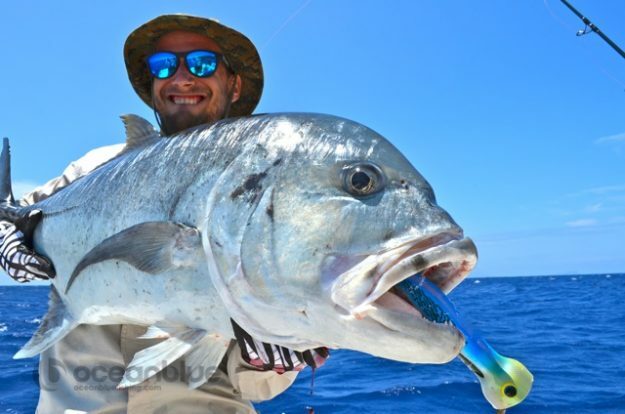 No one said GT fishing is a walk in the park…. 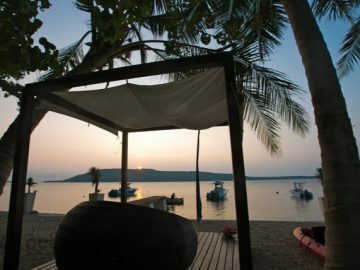 After their learning curve on the 1st day, they continued fresh on day 2, cast after cast honing their technique and with persistence and positive attitudes closed the day with a tally of 4 GT’s landed out of 12. 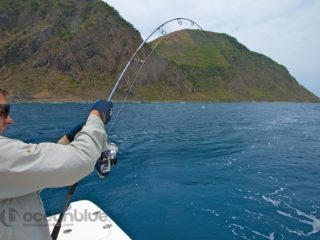 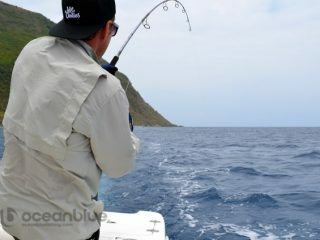 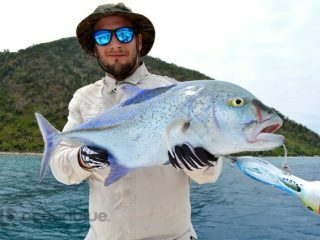 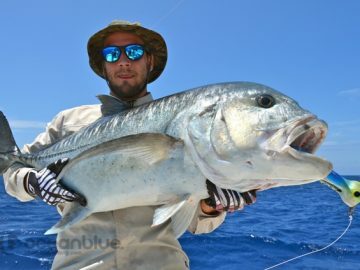 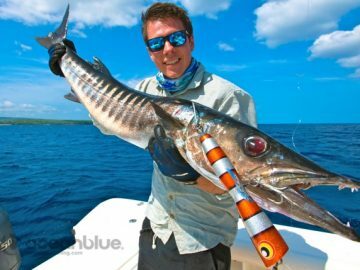 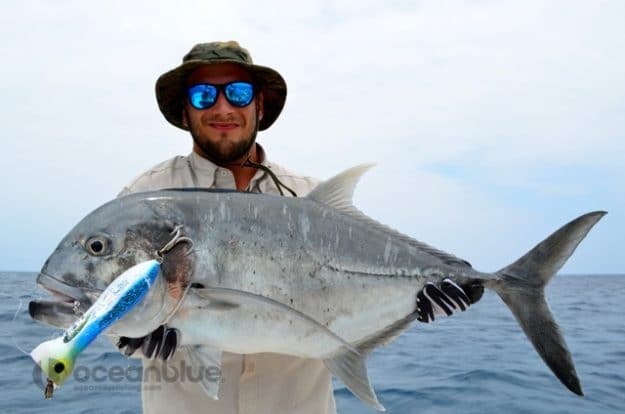 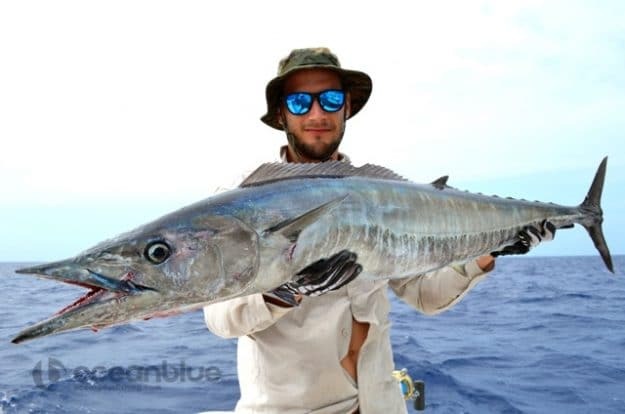 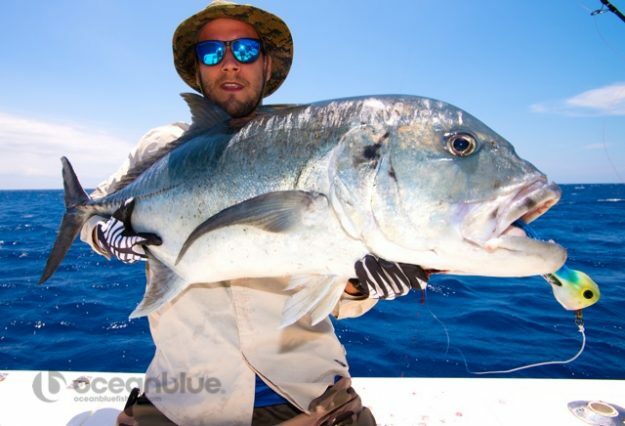 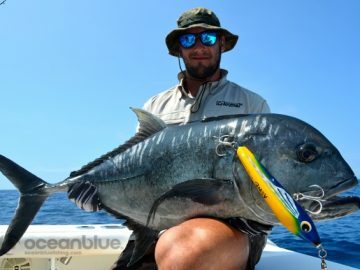 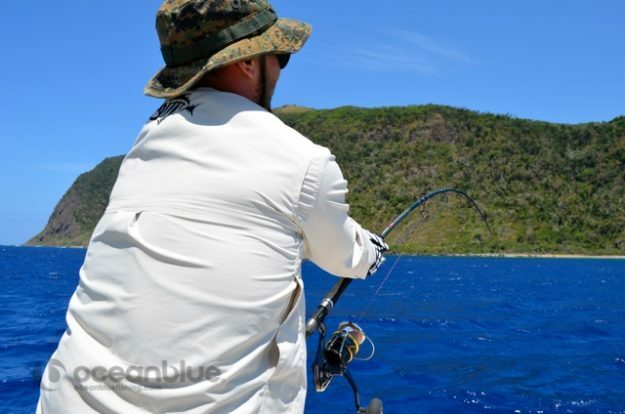 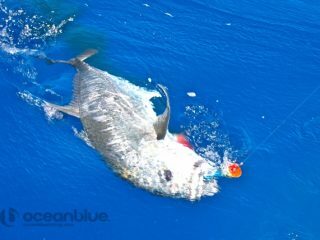 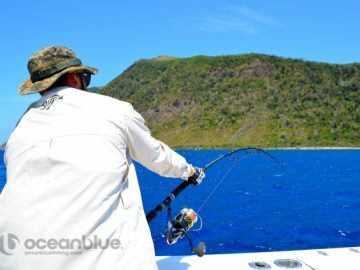 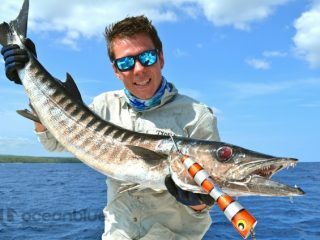 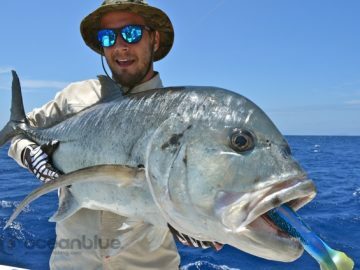 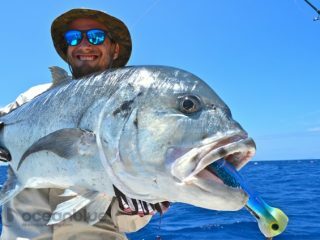 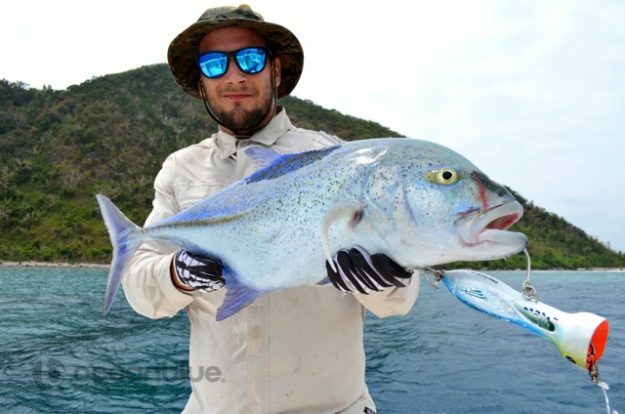 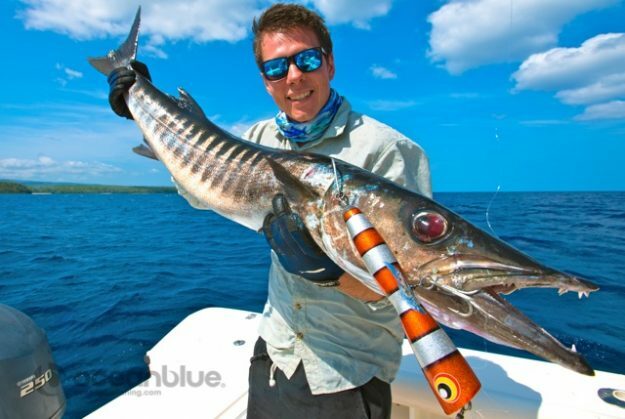 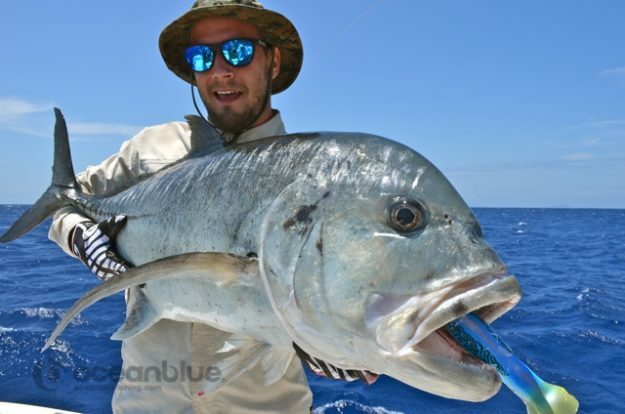 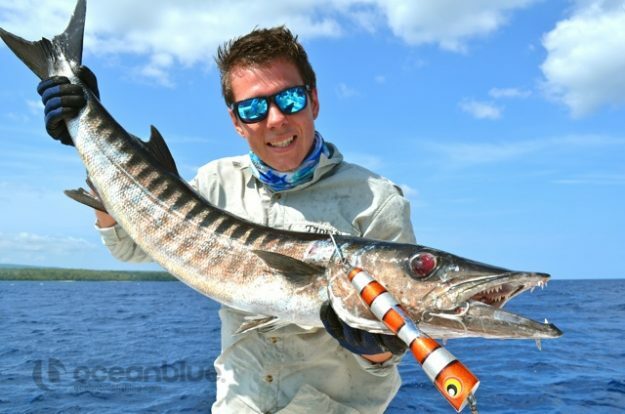 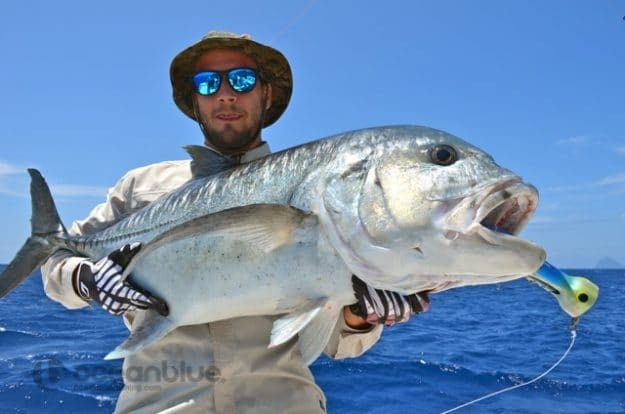 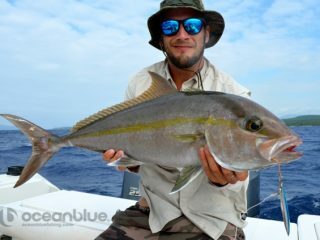 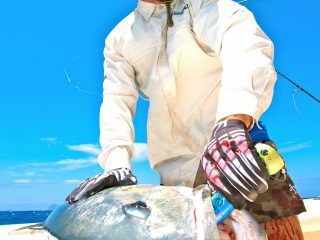 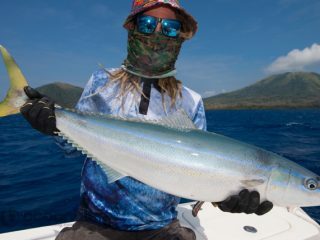 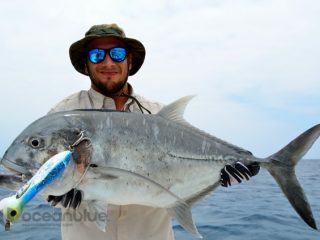 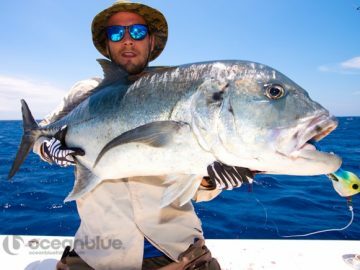 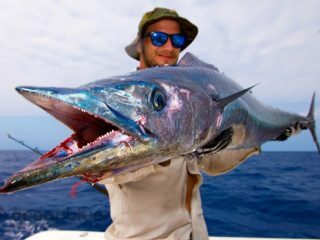 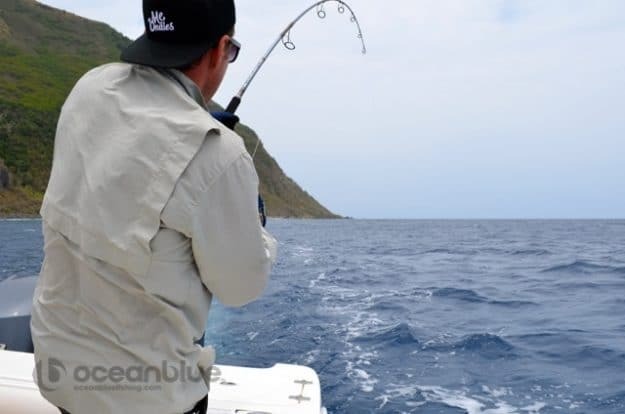 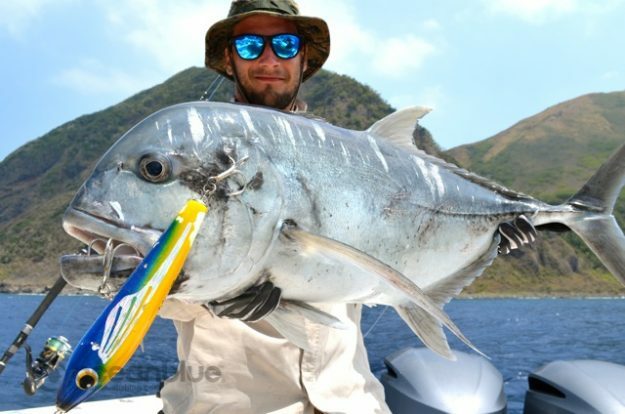 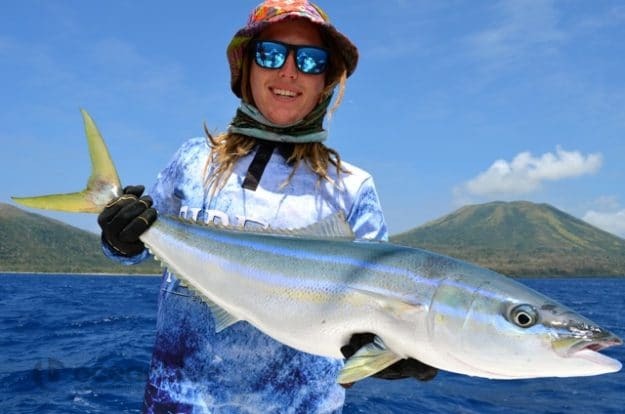 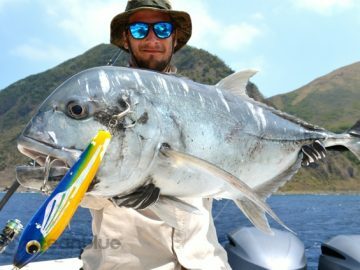 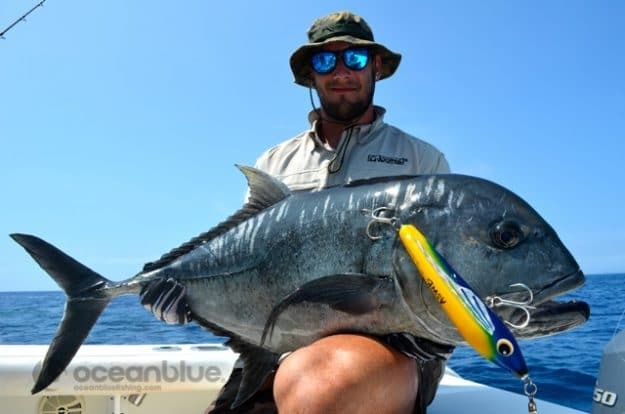 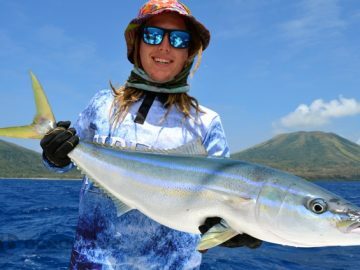 So out of a few topwater sessions with Ocean Blue guide Andrea Traverso, the guys earned their stripes, with a ton of new experience, honing techniques and raising some excellent fish and landing some beauties also. 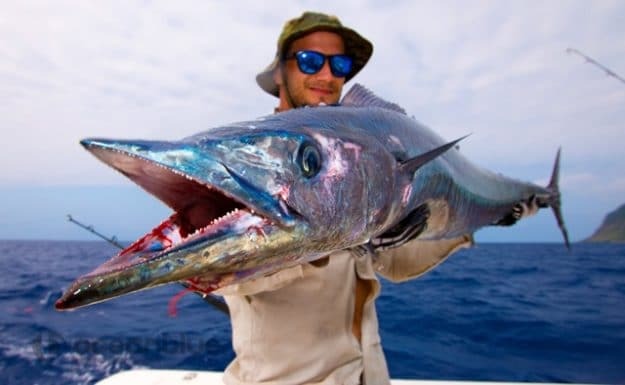 Congrats all round!! Some of the other catches included a nice sailfish plus some assortment of by-catch including some big barracudas, coral trout on popper, big rainbow runner, job fish and whilst trolling offshore a couple of solid wahoo. 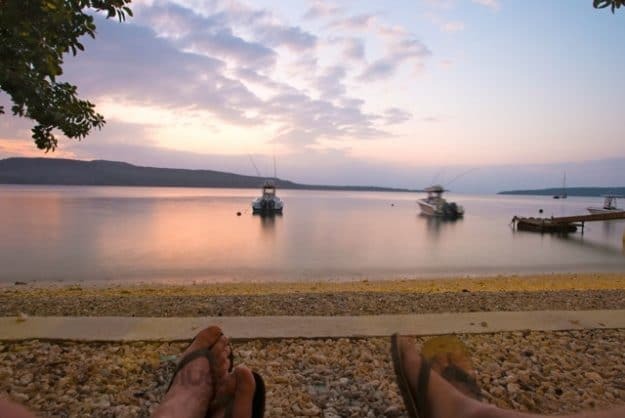 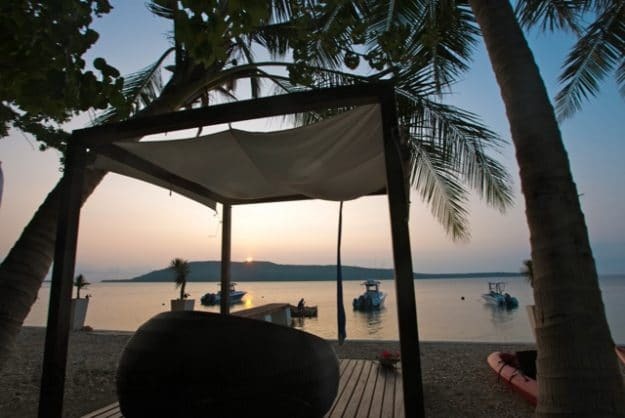 Join An Adventure 2-7th November 2015! 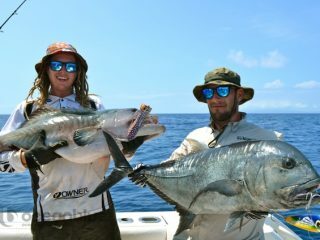 South Oz Trio Tackles Vanuatu Doggies!